The Arkenstone wants to help you look for the perfect piece to complete your collection or an ideal way to get started with mineral collecting. We would be happy to evaluate pieces, educate new collectors, and make suggestions at all price points. We have decades of experience in assisting new collectors, established collectors, museums, and auction houses to select the right pieces to complement existing collectors or kick-off a new passion for minerals. Many of our new customers come to us after viewing amazing mineral specimens owned by their friends or on display in museums. The first questions we normally get are "how can I learn more?" At The Arkenstone, we like to educate first. Visit the gallery, read some books, and let us direct you to some resources that will help you learn about minerals. When you feel comfortable and find particular fine mineral specimens that pique your interest, we can help you track down the right pieces to get started. We pride ourselves on collection consulting with established collectors to track down the right localities, price points, and provenance to fill gaps in existing collections or help start new ones. We have even helped collectors acquire entire collections from other collectors! Additionally, thanks to our trade-in policy, our customers know their purchases are easy to trade in when they decide to trade up. The Arkenstone has handled acquisitions, loans, and purchases from many institutional organizations. If your organization or institution needs collection consulting, don't hesitate to contact us for assistance. 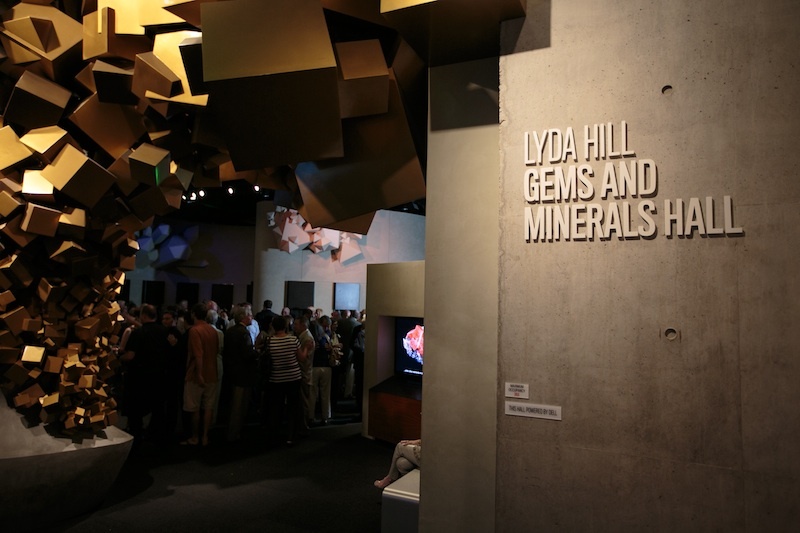 Most recently, The Arkenstone presented the new Perot Museum of Nature and Science with dozens of pieces on loan for the new Lyda Hill Gems and Minerals Hall. We have also worked with dozens of museums domestically and abroad including the Houston Museum of Natural Science, the Smithsonian, the University of Arizona's Flandrau Science Center, and the Beijing Museum of Natural Science. 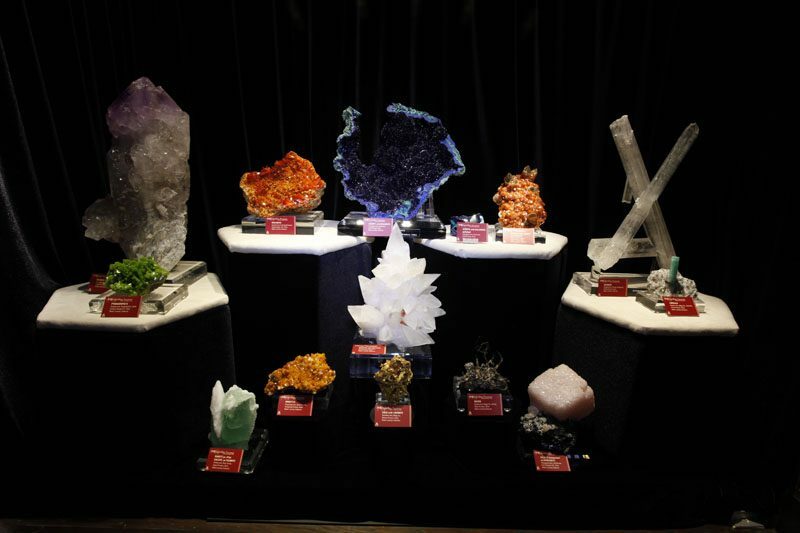 In addition to assisting with institutional collection consulting, The Arkenstone has also helped many museums on their mineral displays using our custom-made lucite bases to improve display aesthetics and help clearly label and identify fine mineral specimens. Additionally, we have assisted Heritage Auction with collection consulting as they continue to break new ground with the Natural History division's mineral auctions. Many fine mineral collections are passed down through generations, and with our collection consulting experience, The Arkenstone is happy to help collectors evaluate the treasures in collections. Many new or unfamiliar mineral owners have no idea what is being given to them and risk selling or disposing of mineral pieces without knowing the value of their "rocks"! In these situations, our collection consulting assistance can uncover some of the mystery behind these pieces of natural art. 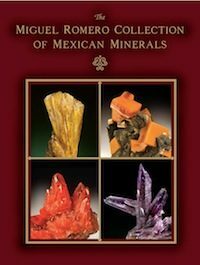 Additionally, the Arkenstone has published several books highlighting the history and legacy of key collections such as the Miguel Romero Collection and the Lindsay Greenbank Collection. Both of these books are available online to read on our Arkenstone Publications page. If you are interested in preserving the legacy of your collection, we can help. Additionally, the Arkenstone acquired the important Sussman Tsumeb Collection in 2003-2004. Due to the importance of this collection, we have established a permanent site at www.TsumebFineMinerals.com.